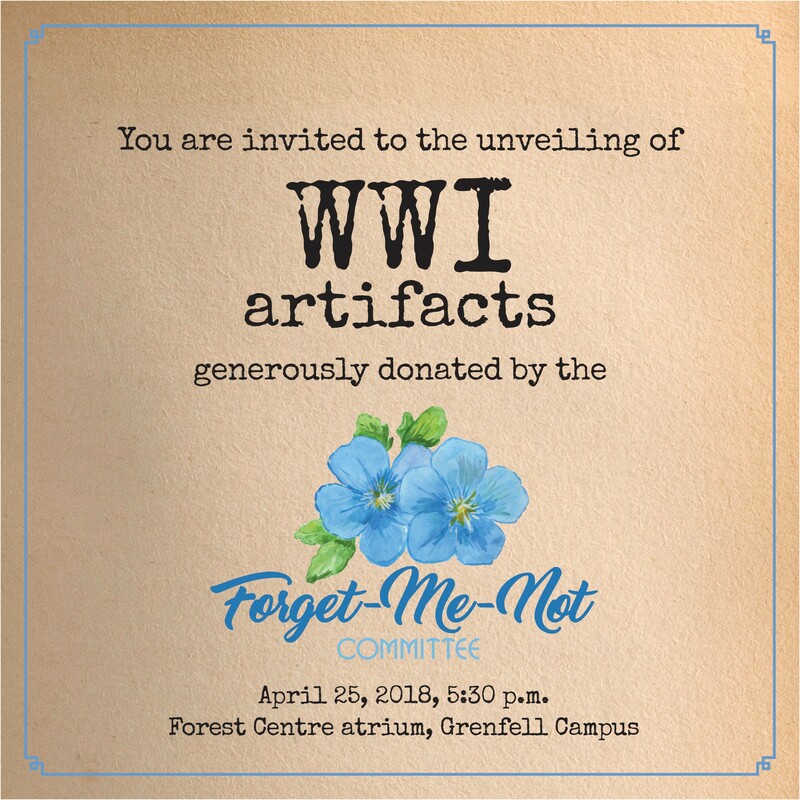 Join the college and the Forget-Me-Not Campaign as they unveil a special First World War Display at Grenfell College in Corner Brook. This event will coincide with the Royal Newfoundland Regiment official birthday. The Regiment was founded on April 25, 1795 and is one of the oldest regiment’s in what is now Canada.